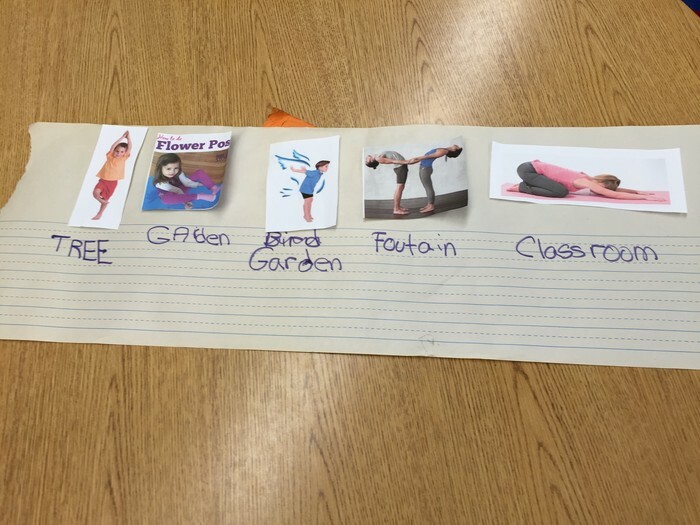 Yoga, Senses, and we finished the entire A-Z-WPHEW!!!!!! Ever heard of Pathways? Well the students have studied pathways and took the morning children on a pathway of yoga positions and then tested them two days later to see if they remembered the same route with the same positions and they did. They were amazed, I was amazed. Then they introduced them to new Yoga positions and they made a story using those positions and even created their own yoga position. HOW COOL!! Meanwhile the afternoon children were busy learning about the sense and saw how dye is absorbed through the celery, they played a water xylophone, went on a sense scavenger hunt outside and had to figure out which sense they were using all the time. That was amazing and boy did we luck out on weather this week. AND we finished the alphabet just in time. We also made sharks and learned they had lots of teeth and very little brains. 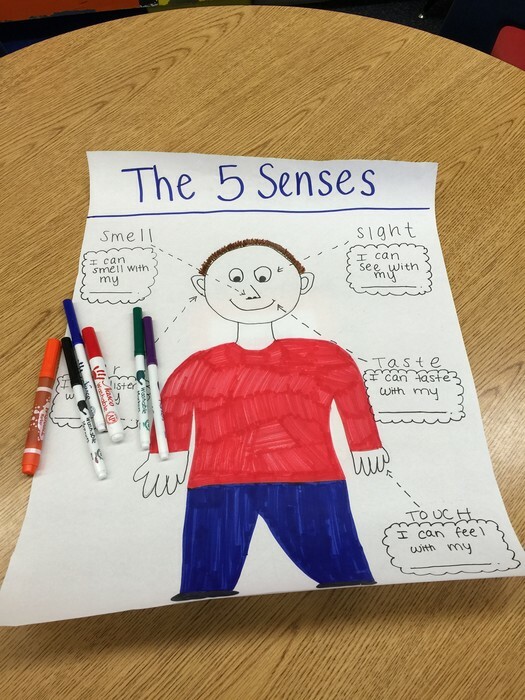 And we did more sensory items and of course free time. It's been an amazing week!! 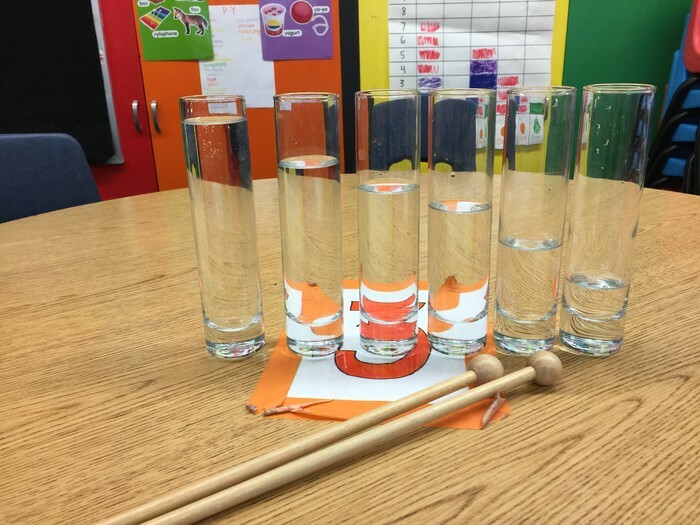 Children in PM class got to play the water Xylophone which was made up of vases of the same size but filled with different levels of water and they hit it with a mallot. The children learned 5 different yoga positions and then made a pathway with the different yoga positions at different places on campus. 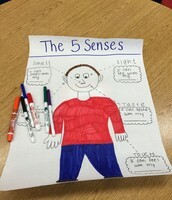 The children had to write on the poster about the sense. Snack is on us this week!! Thanks to your generous contribution at the start of the semester and the fact that for most of the year, most of the children never had need to touch the snacks in the pantry, we have enough leftovers to feed the children snacks this entire week so SNACKS ARE ON US this week (or should I say they are on you?). 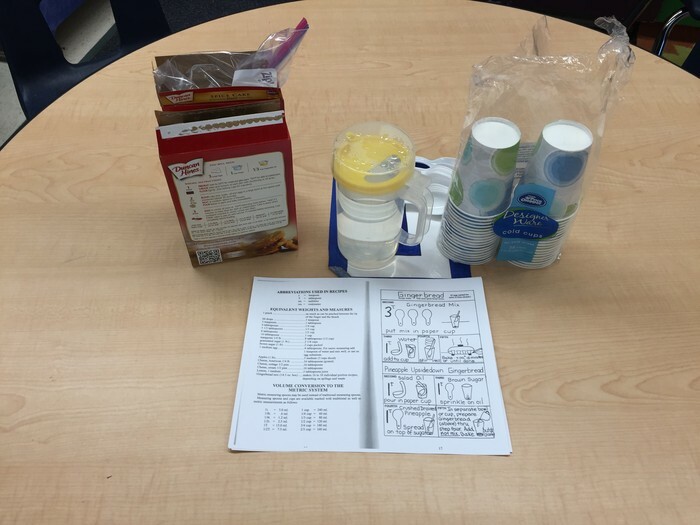 So unless your child really wants you to pack a snack for him/her, we will provide snack (food and juice) this entire week (Wed-Fri) and not to worry--there will be ample choices in case they don't like something. Thank you again for making snack time so easy this year. I think the children really prefer the foods from home over the anxiety question of "what is the snack of the day"? We are a lab school for high school students taking Child Development courses to learn about children in a hands on way. The children come from the community and receive quality care from a certified teacher.